In the summer of 2012 The Habitat Foundation organised a workshop about bat research and the use of bat detectors in collaboration with APB BirdLife Belarus. As a follow up of the workshop we decided to make a brochure about bats and forestry. 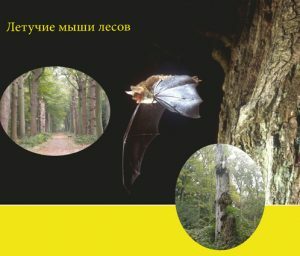 For the conservation of bats in Belarus and abroad it is important to learn more about the Belarusian bat populations. Especially in the light of the fast changes in land use in Belarus. This may be detrimental to bats, but bats may also profit from it. An example of the latter case is the process of FSC certification of the Belarusian Forestries, with over 70% of the forests being managed according to FSC criteria. 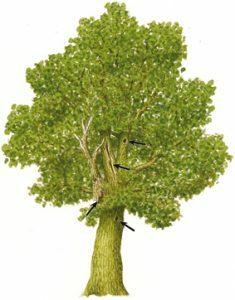 This implies that the foresters take the well being of wildlife into account in their management and exploitation of the forests. Doing this is only possible when you know what you have and what the requirements of the animals are to maintain a healthy population in the forest. The new brochure describes the forest dwelling bats, their habitat requirements and how foresters can take these into account in their management. The brochure is based on a Dutch version made by the Bat Working group of the Dutch Mammal Society. The text of this brochure was first revised to incorporate new knowledge about bats and forestry. Then it was translated to English. Bat specialists of the Belarussian Academy of Sciences and the Berezinsky Biosphere Reserve translated the English text into Russian, but they also transposed the text to the Belarussian situation. Belarus has a different bat species composition than the Netherlands and also the forests in Belarus are very different from those in the Netherlands. Without a thorough revision the brochure would not be applicable in Belarus and foresters will not use it. Now the translation and editing is done and the brochure is ready to be printed and to be disseminated among foresters and biologists (both professionals and students) in Belarus.